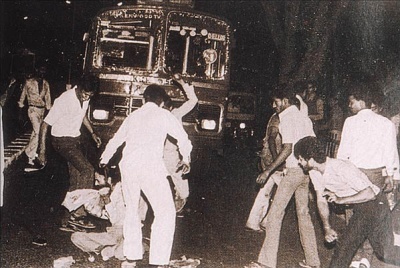 Sikh man being surrounded and attacked by mobs in 1984. 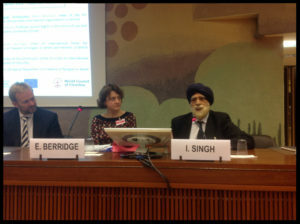 Earlier this month the Director of the Network of Sikh Organisations (NSO), Lord Singh of Wimbledon highlighted India’s persecution of Sikhs in 1984 during a debate on international declaration of genocides. Many of the contributors raised the genocide committed by ISIS against the Yazidis/Christians, and referred to the ongoing crisis in Burma. Genocides in the 1990s like those in Rwanda and Srebrenica were also mentioned during the discussion. Referring to the 1984 Sikh genocide and pointing to conflicting government trade interests, Lord Singh said an independent arbitration of the determination of genocide could be made by the High Court as suggestion by Lord Alton. 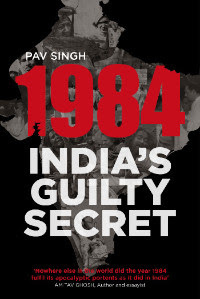 The Network of Sikh Organisations is delighted to be hosting the official launch of Pav Singh’s eagerly awaited book, 1984: India’s Guilty Secret (published by Kashi House) in the House of Lords on the evening of 1 Nov 2017. The event was sold out within an hour of publicity and promises to be both engaging and thought provoking. The format will include a Q&A with the author, and will be hosted by our Director Lord Singh of Wimbledon. Last week the government of Ontario passed a motion which officially recognizes the 1984 anti-Sikh riots orchestrated by Congress politicians as ‘genocide’. 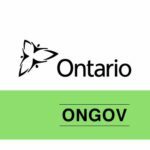 Legislator’s in Ontario’s provincial government passed the motion which was put forward by Liberal Member of the Legislative Assembly Harinder Kaur Malhi last Thursday. The Private Members Notice of Motion number 46, was passed with a majority vote of 35 to 5. It was first introduced last year by the New Democratic Party (NDP) Deputy Leader Jagmeet Singh, but failed to get cross-governmental support at the time. 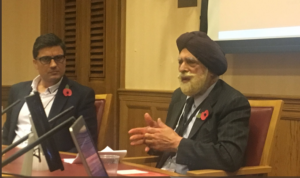 In a debate in the House of Lords in 2014, Lord Singh said the widespread killing of Sikhs in the wake of Indira Gandhi’s assassination was incited by the words ‘Khoon ka Badla Khoon’, meaning ‘Take blood for blood’ on All India Radio. It is a real pleasure to be with you to give a Sikh perspective on Religious Literacy and Freedom of Religion and Belief today. Religion is very much in the news, often for the wrong reasons. Religion, and religious bigotry are often wrongly seen in the public mind as one and the same thing. There is therefore, a clear need for religious literacy to help us distinguish between religion and the misuse of religion. Unfortunately, instead of explaining the essentials of different religions and what motivates people of faith, the inter faith industry has made religious literacy a subject for academics who voice their understanding in highly abstruse and difficult to understand lectures and seminars. We need the basics in clearly understood language. Let’s start with Sikhism: a little known religion in the West, although tens of thousands of Sikhs gave their lives for the West in two world wars and were briefly welcomed with smiles and flowers. Today, Sikhs are confused with Muslims and often referred to as Bin Laden, although, as you will see, they are clearly two different faiths. Sikhism is a religion with about 25 million followers that began in Punjab some five and a half centuries ago; a religion that believes in one God who is beyond birth and timeless. Teachings stress the equality of all members of our one human family, full gender equality, rejection of all notions of race or caste and a commitment to tolerance and respect between different religions; a belief that God isn’t a bit impressed by our different religious labels, but in what we do in serving our fellow human beings. That is all anyone needs to know about Sikhs and Sikhism in my understanding of basic religious literacy. We need to adopt the same basic approach in looking at other religions, and then go on to look for and rejoice in shared commonalities, and be aware of irreconcilable differences that should be questioned, respected, or possibly be challenged. The real purpose of religious literacy is to remove dangerous ignorance. Prejudice thrives on ignorance and leads to irrational hate. We all know that in a fog or mist, even normally familiar objects like a tree or bush can assume sinister or threatening proportions. It is the same with people of different religions or cultures when we see them in a mist of ignorance and prejudice. Remove the fog or mist of ignorance and we see them as fellow human beings. Let me now talk briefly about Freedom of Belief. 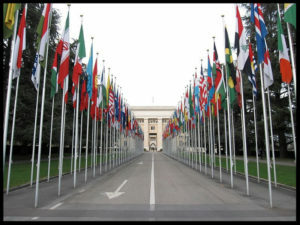 Article 18 of the UN Declaration of Human Rights declares that we all have a human right to practice and manifest our religion, and in precept at least, it is binding on all members of the UN. Unfortunately, the Declaration is often more honoured in its breech than in observance. 1.Secular society can, at times, be antagonistic to beliefs that they may regard as a challenge to secular politics. 2. Arrogant behaviour of religions and factions in religions that look down on both other religions and secular society. A history of oppressive religion in France at the time of the French Revolution, led to religion being seen as a threat to material progress, leading it to it being banished to the margins of society. In France and some other countries any public manifestation of religion like a Sikh turban is banned, despite France being a signatory to the UN Declaration of Human Rights. A European Court of Human Rights ruling that discrimination against the turban is illegal, is simply ignored. Ironically France’s narrow interpretation of secularity is similar to the narrow interpretation of religion by some religious bigots. Today we need to understand that a truly secular state is one in all systems of belief can flourish and in which no religion or system of belief dominates political life to the exclusion of others. Sikhs reflect on this discrimination against the manifestation of religious belief as we mark the centenary of World War 1, in which tens of thousands of Sikh soldiers were briefly welcomed with flowers before going on to fight and die in the freezing and vermin infested mud filled trenches of the Somme, and in Gallipoli and other battlefields, fighting for those who now discriminate against the turban. We feel particularly bad as the Sikh turban reminds us to be true to freedom of belief, tolerance and respect for others. Demonising of religion in schools is also counter-productive. If children do not acquire some basic religious literacy in school, they will simply carry their ignorance and prejudices to adult life. In the USA which bans the teaching of religion in schools, the first person shot in revenge for 9/11 was a Sikh. This was followed by other incidents including Sikh worshippers being shot dead in a gurdwara in Wisconsin as a result of mistaken identity. Such incidents, also suffered by other faiths, result from ignorance and prejudice. Freedom of Religion does not carry a right to harm or disparage others It must conform to basic human rights including full gender equality. Historical religious texts sometimes contain harsh strictures on geographic neighbours and other faiths at a time of the early development of that faith, as well as dated social attitudes. These have become embedded not only in some religious scriptures, but also in the psyche of unthinking believers. These need to be removed or disregarded if religion is to realise its true role in society. As a Sikh, I believe that that a major impediment to religious harmony is the claim that the one God of us all is prejudiced or biased towards any particular faith, or that ours is the only way to God. This is not only insulting but a recipe for conflict. In the same way, the killing of innocents in the name of God, is the ultimate blasphemy. Discussion in this area is also made more difficult by a jargon jungle of pejorative language. Words like fundamentalist, extremist, moderate, terrorist or Islamist do not enhance discussion and are simply used by governments and others to smear those they do not like. Let me give an example: Many of you will be aware that in 1984 that the Indian government pandering to latent majority Hindu racism in an election year, invaded the historic Sikh Golden Temple in Amritsar on one of the holiest days in the Sikh calendar, on the pretext that it housed some ‘separatists’. Thousands of innocent pilgrims in the vast complex were brutally killed and much of the complex destroyed. 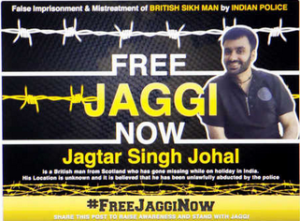 The Indian propaganda machine labelled all practising Sikhs as terrorists and even sought to pressurise those like myself abroad, protesting in the media about the Indian Government action. Early one Sunday morning two Scotland Yard police officers knocked on my front door. I invited them in and offered them a cup of tea. Somewhat embarrassed, they asked if I was an extremist or a moderate. I replied that I was extremely moderate. Then they asked if I was a fundamentalist. I replied ‘well I believe in the fundamentals of Sikhism, like the equality of all human beings and commitment to work for greater social justice, yes I suppose I am a fundamentalist.’ The two officers finished their tea and left thoroughly confused. More recently, a minister in the House of Lords rose to state that Her Majesty’s Government wanted an international inquiry into human rights abuse in Sri Lanka. I rose and asked: ‘will the government support a similar international inquiry into the killing of tens of thousands of Sikhs in 1984? The minister’s dismissive response: ‘that is a matter for the Indian government’. The great human rights activist Andrei Sakharov declared: ‘that there will never be peace in the world unless we are even-handed in looking to human rights’. We should heed his sane advice. The trumping of trade over human rights was even blatant at the time of a visiting Chinese trade delegation in 2014. The Minister then responsible for trade publically stated that: ‘when we are talking trade with China, we should not raise issues over abuse of human rights’. I have cited examples from Britain, but sadly most countries in the world behave in exactly the same way. Religious literacy and inter faith dialogue is a basic need for religious harmony. It is too important to be the sole preserve of so-called scholars, or religious leaders who meet and make virtuous pronouncements, and then go away to denigrate the beliefs of their inter faith colleagues and say to their congregation that they and they alone, are the one true faith. We also need to urgently get away from arguments of religion versus secularity. They are not mutually exclusive and can be mutually enhancing. Religion emphasises responsible behaviour and secular politics emphasises behaviour that conforms to society norms. Religion emphasises ethical values that do not change with time and can or should underpin secular society. Basic religious literacy can not only show that different religions are not all that different in ethical values, but also that our shared ethical values can help make secular society more humane and caring and our world a more peaceful place. Note: Lord Singh’s contribution was received with rapt attention and warm appreciation. Bishop Duleep De Chickera from Colombo, was moved to comment that ‘Lord Singh’s talk was so full of common sense that I wish we had him as President of Sri Lanka‘.